I went on a GIS deep-dive for this first-of-its-kind analysis that uses driving distances from college locations to look at the impact of geography on access to education. I pitched, reported, designed, and implemented this project. A Dying Town: In a corner of Missouri and across America, the lack of a college education has become a public-health crisis. This long-form feature was a maximum-effort proect, bringing together reporters, editors, photographers, and me as the developer. To support the timeline of this project, with edits and assets coming in around the holidays when stakeholders were available at varying times, I quickly put together a library that takes text and image placement from a Google Doc, parses it to JSON, and renders the JSON to the Chronicle website, creating the longform feature dynamically. We now use this script in all of our longform presentations. I also pulled the included data and produced the charts. This piece was well received, widely circulated, and garnered a ton of traffic. How Well Do You Know America’s Donors? This interactive quiz for The Chronicle of Philanthropy walks readers through three unintuitive trends in giving. I designed and implemented the presentation. For this project, I created a database of lawmakers' educational attainment for the past 25 years. The results were suprising and help to explain the increasingly partisian politics in Congress. I did the interactive development and a co-worker headed up reporting. This site tracks the Department of Education's investigations into colleges' handling of sexual assault. Users can search, filter, and group investigations by attributes like state and type of complaint. Investigation specifics like documents, details, and links are also available. I designed both web application and visualizations. Development was shared between myself and another web developer who handled most of the database and API work. Faculty, staff, and adjunct data for over 4,700 colleges and universities. For the version 2 redesign which was launched in the spring of 2016, we did a full overhaul of the website architecture, design, and visualizations. We also added functionality allowing submission of salaries. I handed design and most front-end development, while my co-worker focused on database and API work. Climate change and rising seas pose an unprecedented threat to coastal colleges. I pitched, reported, designed, and developed this in-depth look at how four universities around the country are planning for the years ahead. This presentation was unlike anything The Chronicle had published before, and received positive feedback from the colleges profiled and the scientific community. Due to the length and number of the essays included in this special presentation for The Chronicle Review, they wanted an eye-catching display that didn't overwhelm the reader with text. I designed and implemented this presentation, borrowing some styles from the print layout for continuity. Who was the common Civil War soldier? I researched, designed, implemented, and wrote the accompanying article for this project that explores the personal attributes, occupations, and fates of 92 soldiers. An abridged version of this piece was feature in the August 2016 issue of Civil War Times magazine. 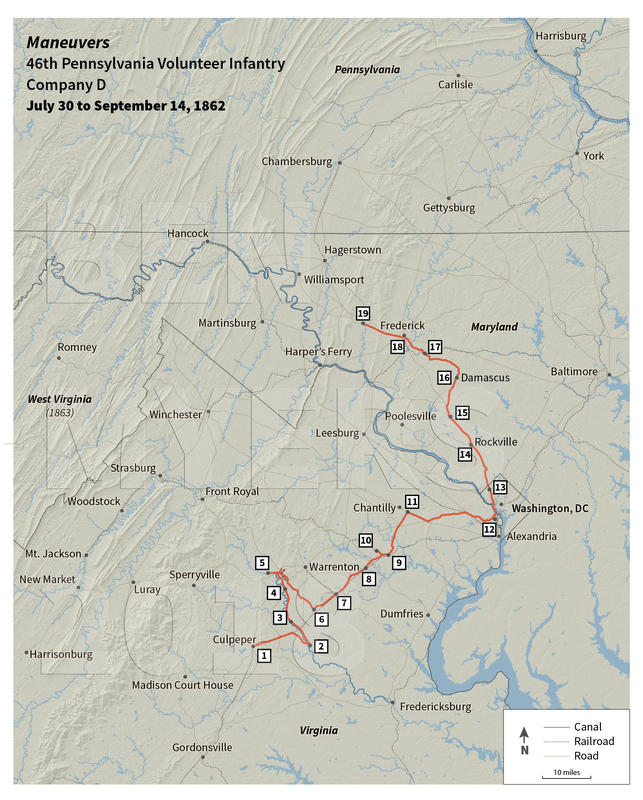 In preparation for my soon-to-be-released book American Citizen: The Civil War writings of Captain George A. Brooks (non-fiction, Sunbury Press), I created a series of maps showing the route Captain Brooks's regiment, the 46th Pennsylvania Infantry, marched during the Civil War. For these, I did everything from generating a basemap using Digital Elevation Models to creating a Civil War era roads shapefile and geocoding locations relevant to the regiment. I've contributed to Military Images ( Autumn 2016, Summer 2018 ) and The Civil War Times ( August 2016 ) magazines. There are a lot of rats in New York City, and a lot of people complaining about them. This map shows the most recent 311 'Rodent' complaints, updated daily. B.S. Computer Science & Audio Technology (double major), 2013.